The worldwide public cloud computing market will reach $512.81 billion by 2022. There are many types of cloud computing. Many enterprises use cloud environments to test software and harness the power of big data. But one of the most ubiquitous forms of cloud computing is cloud storage. For example, anyone who has a Gmail account has access to Google Drive. At present, they can store up to 15 GB for free. But for businesses, 15 GB may not be enough. Furthermore, some businesses aren’t sure if cloud storage is the best choice for them. Some are concerned about security, others about cost. Read on to learn the pros and cons of cloud storage. Storing data on a hard drive may seem innocuous. It’s how we’ve been storing most data for decades. But now that cloud storage is available, it may not be the best choice for businesses. Nonetheless, there are still some advantages to local storage. You have complete control of your data. You also have control over access, so it’s easier to keep sensitive data safe from hackers. You don’t need an internet connection to access your data, either. But you’ll need to keep backing up your data to prevent loss. Furthermore, you are solely responsible for your data. You can’t call in a service rep to help if you encounter a problem. With local storage, it’s harder to share your files with others. You’re limited by how much space you have. You could also lose all your data in the event of a catastrophe. 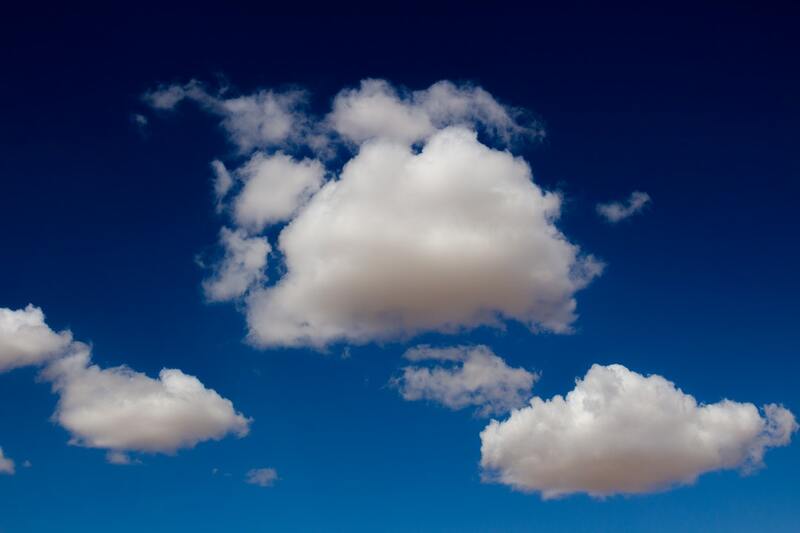 Currently, most companies (and individuals) are leaning toward cloud storage. It offers them a way to back up important documents without purchasing additional hardware. As computers continue to get smaller, more and more files and processes will move to the cloud. With cloud storage, you can access files from anywhere, as long as you have your login information. If part of your team works remotely, there’s no need to send them files. Everyone can share their own cloud storage drive. What’s more, this ease of access allows for more flexible work. If you need to work from home, cloud storage makes it possible. In fact, fewer businesses opt for actual office spaces because of cloud computing. With offices spaces averaging about $23.23 per square foot, that’s a serious dent in your overhead. If you’ve looked at any cloud storage pricing, you’ll see immediately that the price can vary. Most companies charge based on storage space. Some other change based on bandwidth. Of course, there are always free cloud storage options. Some small businesses do just fine with a shared Google Drive. These are the solutions most often used by consumers. Some of the best free cloud storage for photos and documents allow for multiple gigabytes of data. If you only need to back up a few files, a free option is a good choice. But to get a scalable solution, you’ll inevitably need to purchase a cloud storage solution. When you store data in the cloud, it isn’t located in a single place. It’s backed up in multiple locations. If one of your cloud service provider’s data centers suffers a catastrophe, chances are, your data will still be fine. This also helps you avoid the issue of losing data because of damage to your local storage system. If you back up all your local files in the cloud, you can even recover in most circumstances, even if all your hardware is wiped out. If you’re relying on local storage, you’ll need to purchase more hardware as you grow. This can get unnecessarily expensive. Most small businesses can’t afford to manage a server farm, much less buy one. With cloud storage, you simply pay more when you need more space. Upgrades are affordable, and most providers offer special plans for businesses. One of the biggest benefits of cloud storage is the option for collaboration. In some cloud storage environments, an entire team can access a document simultaneously and edit it in real time. At the very least, changes are backed up repeatedly, so files are always current. This helps you avoid the tediousness of sending attachments via email. You won’t have to worry about a single document turning into 10 as you accumulate drafts. All your drafts are stored under the same file name. Most industries are moving toward cloud-based technology. However, there are still some disadvantages of online storage. Comparing the cloud storage pros and cons will help you make an informed decision about your purchasing decision. Just like consumers, businesses need to be concerned about online security. A single breach can cause serious lapses in service and damage to your reputation. You don’t want your files to fall into the wrong hands, so storing them securely and backing them up is paramount. Cloud computing and cloud storage have been labeled safe by most experts. Some even contest that cloud storage is much safer than local storage. Security is essential for the cloud’s future, as 83% of enterprise workloads will be in the cloud by 2020. The entire industry depends on it, so cloud service providers take security seriously. But some people still have concerns. For one, if you’re storing highly sensitive data, a public cloud storage solution may not be in your best interest. There may also be regulations that require you to secure a private cloud environment. Some businesses don’t like the idea that their files are being stored on someone else’s servers. While cloud storage companies live and die by their security, this is still a valid concern. A breach of their servers could result in a breach of your files. Nonetheless, cloud security incidents are relatively low. Compared to social engineering attacks and malware, they are relatively nonexistent. Furthermore, anything you store in the cloud is backed up. Cloud storage does cost. You’ll need to do a cost/benefit analysis to see if it’s worth it over your business’s lifetime. In most cases, it will be. Some industries have significant compliance standards. For example, if your company stores any healthcare data, a typical public cloud environment may not be compliant. Nonetheless, there are cloud providers who specialize in creating compliant environments. Before making a choice, take time to weigh the pros and cons of cloud storage. In most cases, cloud storage is a sound investment. It will help you scale your business and implement more efficiencies. You’ll even be more secure from disasters and cyber-attacks. For more information about cloud technology, check out the Technology section on My Press Plus.